Looking for spare batteries for your camera? Amazon has a deal for you as it takes an extra 25% off all Maximal Power products. (Discount is taken during checkout.) Plus, most items qualify for free shipping via Amazon Prime. 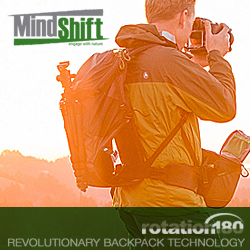 Products include camera and camcorder batteries, chargers, flashes, cases, and more. One discount per customer; limit of one product per customer. This offer is valid through February 4, 2012, or while supplies last, applies only to purchases of products sold by Amazon.com, and does not apply to products sold by third-party merchants and other sellers through the Amazon.com site. 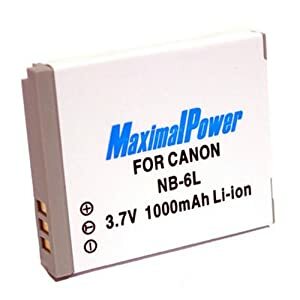 A best bet is the Maximal Power Canon Compatible NB-6L Battery (pictured), model no. DBCANNB-6L, for $4.80. During checkout, it drops to $3.60. Get free shipping via Amazon Prime. 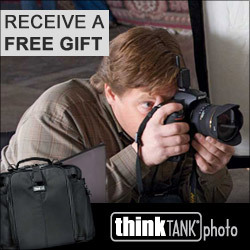 (Non-members can spend $25 or more to get free shipping; otherwise it adds $5.58.) It's compatible with select Canon Powershot / ELPH digital cameras and select camcorders.